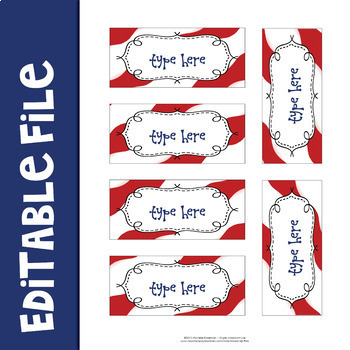 This editable teacher toolbox set of red, white, and blue classroom organizer labels with stars and stripes will keep your desk looking neat and professional! 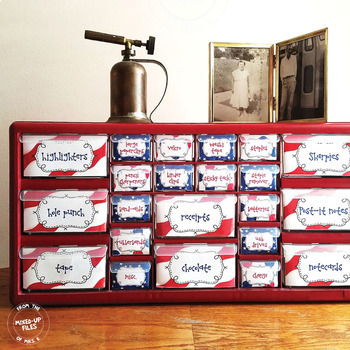 Customize your plastic storage drawers with these easy-to-use editable labels from the All American classroom decor theme. 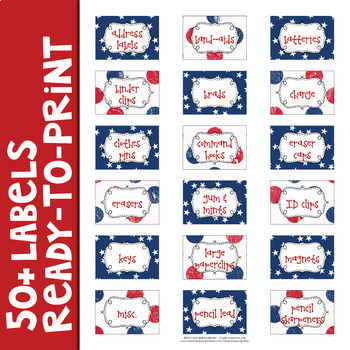 Print ready-to-use labels (pages 3-9) on bright white printer paper. Cut apart and tape onto outside front of plastic storage drawers. 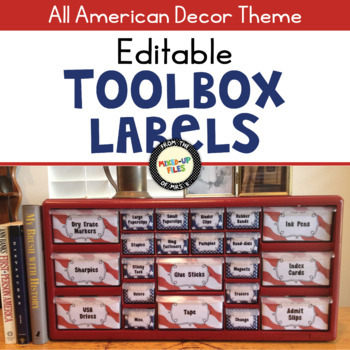 If you want to personalize your toolbox by adding your own items, use the editable labels on pages 10-13 before printing. The labels are easy to apply by taping them to the outside of the drawers with clear shipping tape, trimming around the plastic handles at the top. See more detailed instructions in this blog post I wrote about how to make your own teacher toolbox. Provide feedback after you use a resource; you can earn credits toward your next TPT purchase! Follow me (click the ★ beside my store logo) to be notified when a new resource is uploaded. My new resources are priced at 50% off for the first 48 hours, so it pays to follow me!